Are these words by Russell Brand baffling nonsense? I just read a good humoured but frustrating interview with Russell Brand by Lucy Kellaway of the Financial Times. Every time Kellaway quotes anything Brand says, she follows up by calling it nonsense and saying she is baffled. This is a fairly common strategy in response to Brand, whose ideas draw a lot on spiritual thinking that is widely derided in the UK, whether its coming from the lips of Russell Brand or the Pope. But is it nonsense? Does it baffle you? This are the words that baffled Lucy Kellaway, after she had asked if he thought much about capitalism. Are you baffled? I feel slightly awkward in saying that I’m not, as so many other people are. Brand’s words make total sense to me. As does his statement that “The economy is just a metaphorical device, it’s not real. That’s why it’s got the word con in it.” That’s basically Derrida boiled down to a one liner. Which is what you need to do with Derrida if you want anyone to understand. But how about you? Baffling? Or brilliant? I agree with you, Damien. Russell Brand is a brilliant mind. His intelligence is way beyond the understanding of most reporters. Their ignorance labels his intelligence as nonsense. They have no idea who they’re talking to. Lucy is baffled because she considers actors as people reciting lines, not individuals with profound words to share. Matt Damon, Angelena Jolie, George Clooney, Richard Gere, and so many other actors are extremely intelligent spokespeople, worth paying attention to. An actor, Ronald Reagan, became President of the United States, although he may have still been reading lines. 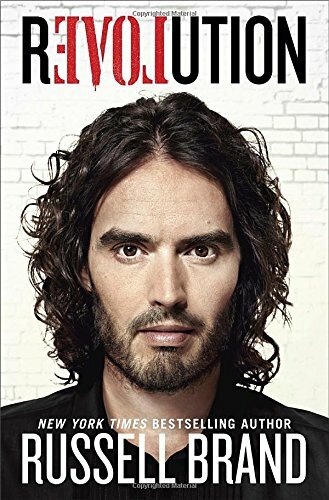 Russell Brand takes it all to another level, bringing in the spiritual element, the oneness of humanity, and the need to make this world a better place for all. He is suggesting something above and beyond the failing economic and political systems. He is a very brave voice in the wilderness, and I for one stand up and applaud him. I like that Brand is speaking out with attitudes that don’t fit mainstream norms, and I don’t find them particularly baffling, but I have yet to hear him saying anything that I considered particularly new or insightful either. Admittedly I’ve made little effort to seek out the things he’s said, but the section you quoted didn’t say anything I didn’t feel like I’d heard a hundred times before. I feel like he could provide some really sharp, specific and useful insight, but I’m not seeing it. It’s something that’s commonly said in daily conversation, but it’s not said by anyone with influence in the mainstream media, at least not beyond Thought For The Day! We’ve side-lined spiritual ideas from politics, and it’s the grass roots belief that they must play a part that Brands tapping in to, I believe. No, there’s nothing new there…but then that’s the nature of an old message right? It’s a fair point, and I tend to forget how much the viewpoints I hear are shaped by my own culturally liberal bubble. It is good to see someone challenging the major unstated assumptions of our time, and I suppose what surprises me is how surprising that is to some in the mainstream. Nice to see a major entertainer not mincing words and cutting straight to the chase. We need more unapologetic entertainers like Brand (who I had initially written off as a total tool before reading some gut-busting passages in his BookieWook) who aren’t afraid to point the finger at what has proven itself a dangerous social gambit: Gala-capitalism the world-eater.